Looking to plan a photographic safari or a yoga retreat to Africa. ? Look no further as our team have heaps of experience being ex Zimbabwean and South Africans who have been to the lodges and resorts we recommend in the suggested itineraries. Afrikan Blues is a health and wellness travel company specializing in Photographic Safaris and Yoga Holidays to awe inspiring locations in Africa. There’s something about going on safari to experience the game viewing up close and personal that really gets the travel juices flowing. The lush scenery, the wildlife spottings, the chorus of birds and insects, and the gorgeous rustic -luxury retreats all help rejuvenate the soul. Access to yoga while on vacation is a must for many and there’s no shortage of choices. We organize and offer expertly guided photographic safaris and instructed practices during our yoga retreats. Being present with other people on safari allows one to detox from our digital devices while in the wilderness. This will allow you to come away refreshed and recharged, mentally and physically. We can arrange bespoke / tailormade safaris for individual travellers and groups of all sizes to East Africa, Botswana, Zimbabwe and South Africa. Join us for 9 days in the natural beauty of Zimbabwes wilderness staying at private 3 Luxury African Safari Camps in the Hwange and Mana Pools National Parks. Sleep in luxury tents with the sounds of the wildlife close by. 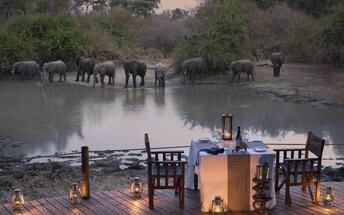 Relax on the wooden decks overlooking waterholes with prolific wildlife allowing for fabulous photographic opportunities. This is an exclusive safari for 8 people. 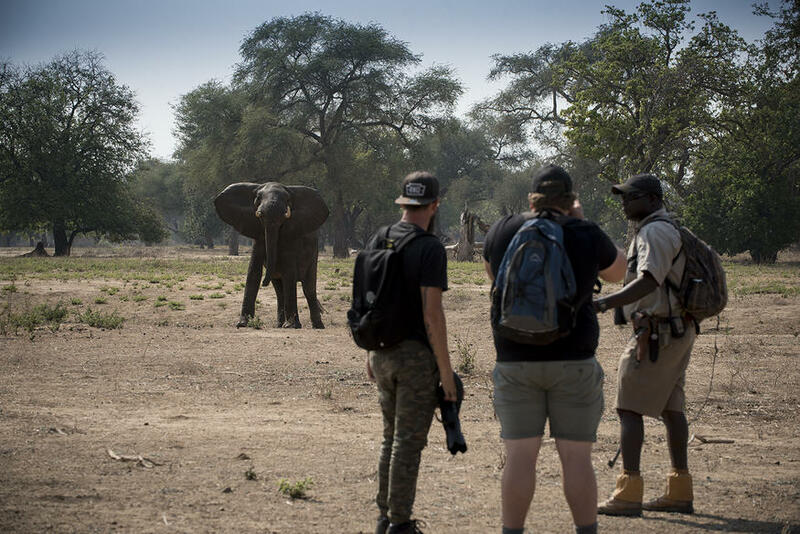 You will be warmly welcomed at Victoria Falls Airport for your short flight to Hwange National Park Zimbabwe’s biggest reserve, known as the land of the giants for its big elephant herds. It provides sanctuary for all the country’s endangered species. Terrain ranges from desert dunes and savannah lands to rocky outcrops and sparse forests, and visitors have the choice of game drives or guided walks to experience the park and its wonderful creatures. Stay 2 nights at a Private Camp set in the heart of Hwange. Tucked away on an acacia island along the edge of an ancient seasonal flood plain, providing breath-taking views of the savannah plains across the famous Kennedy Vlei line. The recently upgraded luxury tents at the camp still has its focus on the guiding and hosting of guests to ensure the ultimate guest experience. With a small splash pool for guests overlooking the “Elephant Pool” and a natural waterhole where herds of wildlife congregate to drink and where guests can relax whilst soaking in the African bush. Mana Pools National Park The life-giving power of the Zambezi River makes Mana Pools National Park one of Zimbabwe’s most lush and flourishing regions, designated as the country’s second World Heritage Site and known as one of the continent’s premier game-viewing regions. 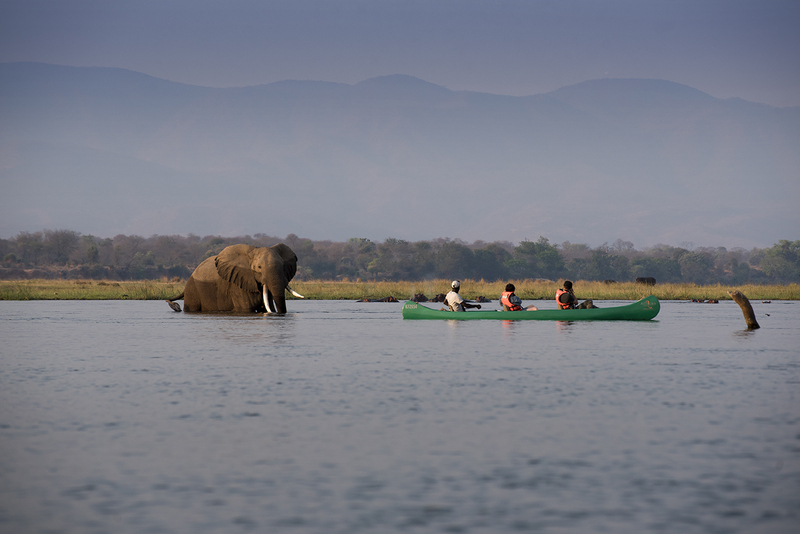 Canoe trips provide a unique and memorable way to experience the striking scenic beauty and diverse fauna, while guided walks allow you to take in its pristine riverside forests. 3 nights at a luxury mobile camp offers one of the best ways to experience Mana Pools on the banks of the mighty Zambezi River. The camp gives luxury camping a new definition by virtue of its simple yet elegant and comfortable furnishings. 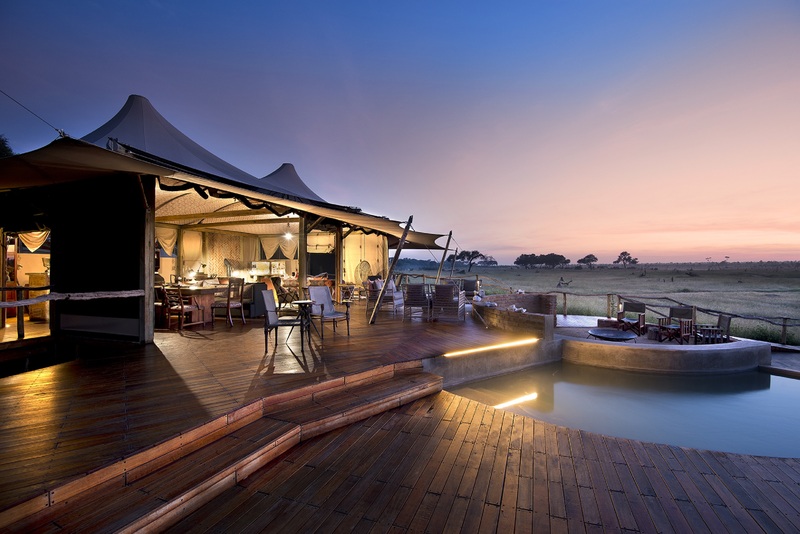 Combined with another 3 nights in the Kanga Pan at a luxury tented camp set in the most remote part of Mana Pools. The main area has a comfortable lounge and dining area offering views of an active water hole. Relax in the lounge under the shade of a mahogany or sit on the deck below near the splash pool and enjoy Kanga − the old Africa in a new era. 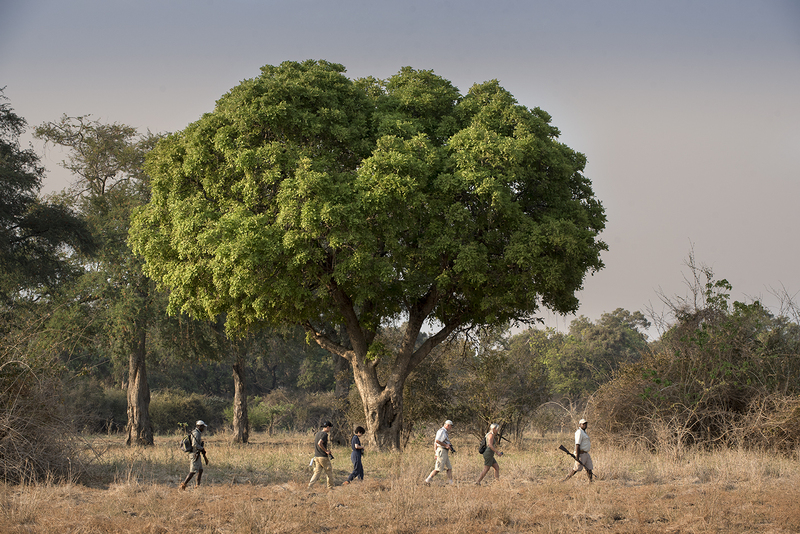 The diverse area has multiple vlei lines, river systems of the Ruckomechi River, and mixed woodland types from Mopane woodland to Jesse bush and riverine forests. Kanga Pan itself is the only known water source in the area available throughout the year, making it a hub for wildlife and a delight to explore on foot. Pristine and undeveloped, this area gives you a pure, unspoilt, private African safari experience. Price: US$6 250 per person sharing. 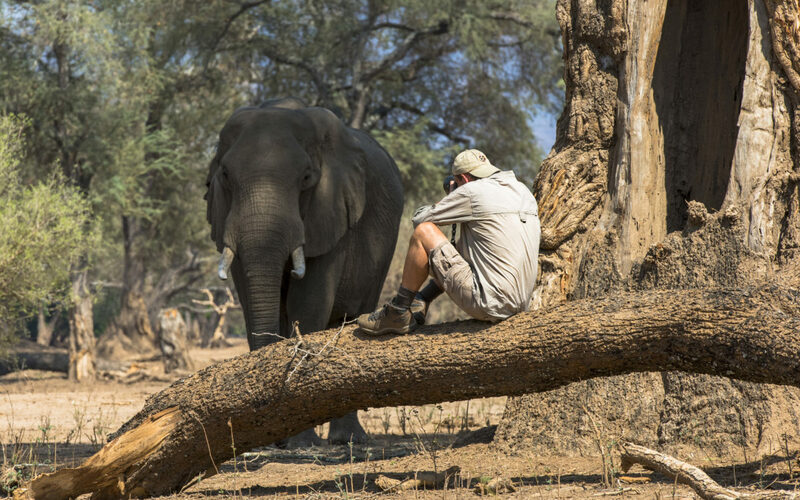 Journey to the remote wildlife areas of Hwange National Park and Mana Pools National Park, with Nick Dyer, on the adventure of a lifetime. 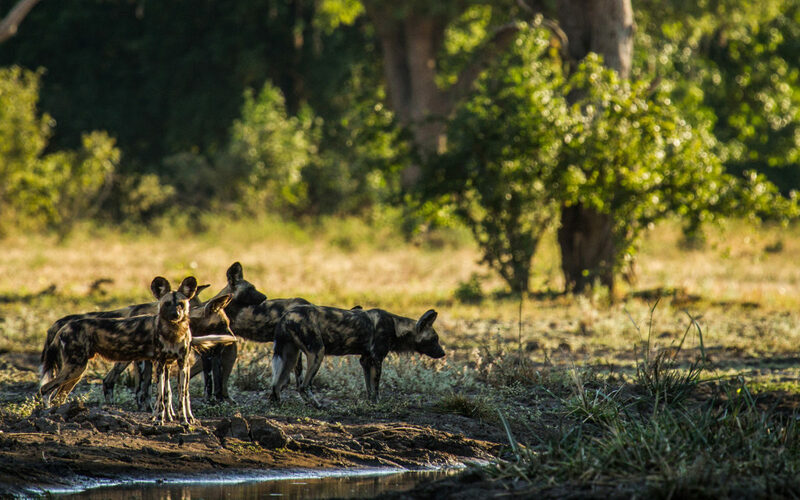 Nick Dyer is an award-winning photographer and author of the coffee table book ‘Painted Wolves, A Wild Dog’s Life’. He has a contagious passion for these animals and is committed to their conservation. 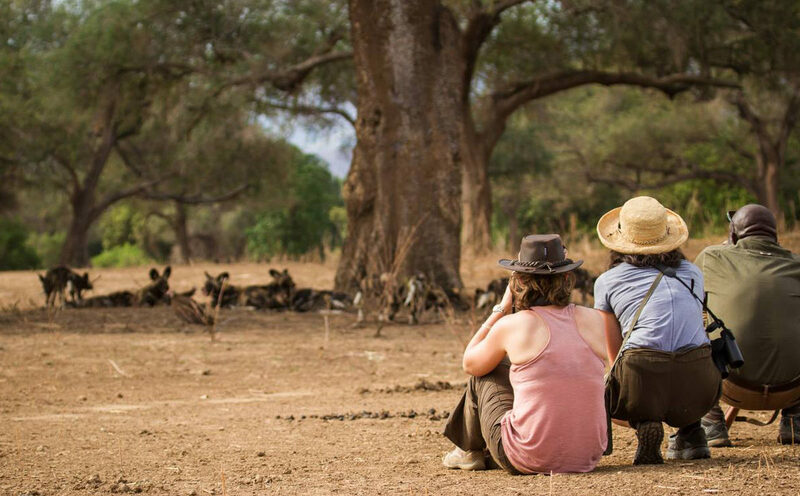 Starting 4th November 2019 in Victoria Falls, we’ll take you on a 9-day safari that combines pristine national parks, knowledgable and passionate safari guides, and a lifetime of memories waiting to be made – this Painted Wolves safari promises to be like none other. This is an exclusive safari for 6 people. Price: US$7 865 per person sharing.